When it comes to razors, Gillette is clearly the most recognizable brands around, although Schick does have some fans of its own. Aside from market share however, one important point of comparison lies with specific products of each company, a concern that was recently brought to the forefront by the lawsuit filed by Gillette against Schick for patent breach. Although the legal issues between the two companies have since been resolved, the comparisons remain. Gillette made its mark with the release of the first safety razor, which was unveiled to the public in 1895. The company followed suit with the introduction of the first razor intended for women, which in turn was released in 1916. Gillette pretty much dominated the field until the late 20th century, when other companies began releasing their own multi blade designs, the most notable of which was Schick’s Quattro. This followed on the heels of Gillette’s 1971 twin-blade razor and the Mach 3, which featured a triple-bladed design. The Quattro was actually a bit of a mixed blessing for Schick, since its revolutionary design soon earned the ire of Gillette, which claimed that Schick had breached established patents that Gillette held with the Mach 3. 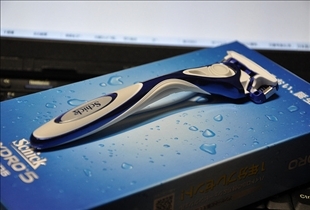 Schick for its part has gone on record disputing Gillette claims of providing the "best shave possible", with the reason being that their own Quattro’s four blade design is a clear improvement over the Mach 3’s three blade design. As events transpired, it appeared that Gillette’s objections had as much to do with the use of multiple blades–which it pioneered–as the positioning of said blades. 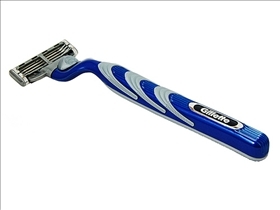 Gillette felt that the angle of the Quattro’s blades was a little too close to home, and a lawsuit was soon forthcoming. As mentioned previously, both companies have since resolved the conflict, although the competition between the two rages on as fiercely as ever. It is important to note that Gillette is a considerably larger and more established company, with an enormous R&D budget. In fact, the company spent no less than $984m in the development of the Mach 3, with as much as $250m spent on specialized tools alone. It is hardly surprising then that Gillette has a firm hold on the market, with as much as 72% cornered. Schick for its part comes in at a distant second with only 15% of the market to its name. Introduced the triple-blade Mach 3 in 1999. Which razor is more comfortable?